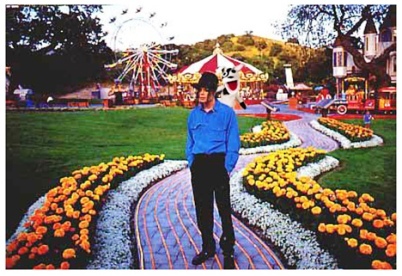 There’s news going around that Michael Jackson’s body will be taken to his Neverland Ranch in Santa Barbara county on Thursday July 2nd, for a public viewing being held on Friday morning, and that a private Michael Jackson memorial service will be held on Sunday July 5th. Although there are rumors that Michael Jackson’s body will be laid to rest at Neverland, there is no actual concrete proof or official confirmation. In an effort to appease the Santa Barbara community in which Neverland Ranch is located, Thomas J. Barrack Jr., who heads Colony Capital, the firm that currently owns Neverland, sent a letter to the residents that basically said Michael Jackson is dead, people are coming, you may not like it, but you’re gonna have to deal with it. Except he used fancier words. next post: Michael Jackson Kids Not His. Allegedly. I love you Michael !!! love you jack. . . I am moving into Neverland Ranch by myself. Please stop calling him Jacko. It’s completely disrespectful and also hurtful. Anyone that says they love Michael. Would know that he hated being called that and it hurt him very much to be seen that way. Stop perpetuating the negativity that followed him all his life. Thank You! 53 queries in 0.997 seconds.